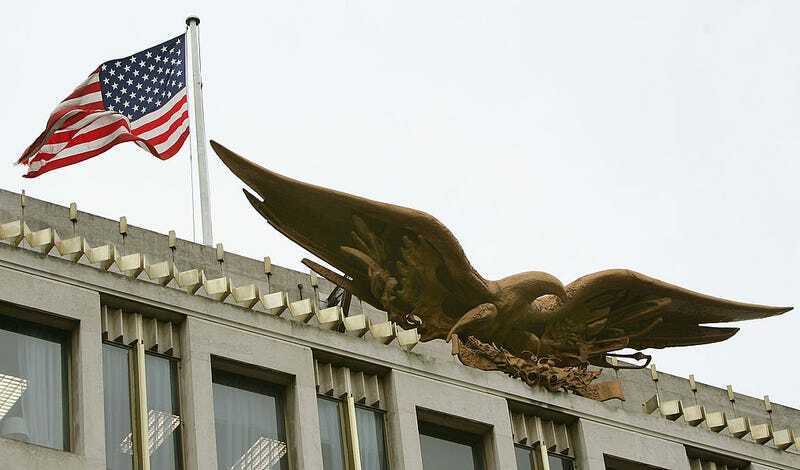 A three-month-old baby was taken in for questioning at the U.S. Embassy in London after his grandfather mistakenly marked the purpose of his trip to the U.S. as “terrorism” on the immigration form. There’s...a box for that? Genius! What a flawless system. Officials, perhaps shocked that someone had actually marked the box affirmatively, required the baby to appear at the embassy in London for questioning, a full five hours away from Harvey’s home in Cheshire. The trip was ultimately for naught, however, since Harvey cannot yet speak. Love this guy. He even managed to keep his spirits up after the new visa didn’t arrive in time for the family’s trip. England for President!